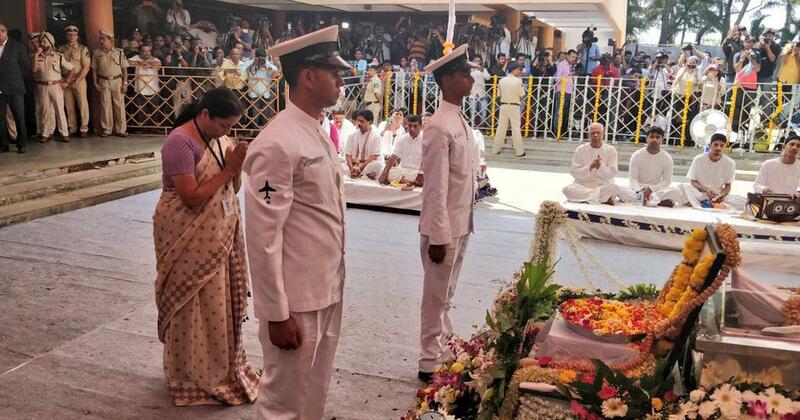 Goa Chief Minister Manohar Parrikar was cremated on Monday with state honours, a day after he died of pancreatic cancer. The Bharatiya Janata Party leader had been diagnosed with the disease in February 2018. The BJP has not announced a new chief minister. The Election Commission issued a notification for the first phase of the 2019 Lok Sabha polls, which will be held on April 11. Congress General Secretary Priyanka Gandhi Vadra on Monday took a jibe at Prime Minister Narendra Modi’s decision to add “chowkidar” (watchman) to his Twitter handle. She said a farmer had told her that only the rich have a security guard or watchman. The Election Commission on Monday issued a notification for the first phase of the 2019 General Elections, on April 11. Ninety-one Lok Sabha constituencies from 20 states will vote on that day. Former Goa Chief Minister Manohar Parrikar was accorded a state funeral with a 21-gun salute on Miramar beach on Monday. Parrikar died on Sunday after battling pancreatic cancer. A delegation of Goa Congress, led by Leader of Opposition Chandrakant Kavlekar, met Governor Mridula Sinha at the Raj Bhavan on Monday to stake claim to form the government, ANI reported. This came a day after Chief Minister Manohar Parrikar of the Bharatiya Janata Party died of pancreatic cancer. Goa Chief Minister Manohar Parrikar will be accorded a state funeral on Monday, a day after he died following a prolonged battle with pancreatic cancer. “It has been decided by the government that state funeral will be accorded to the departed dignitary,” Ministry of Home Affairs Joint Secretary SK Shahi said in an order issued on Monday. Telangana Chief Minister K Chandrasekhar Rao on Sunday urged supporters of the Telangana Rashtra Samithi to work toward a “Congress- and Bharatiya Janata Party-mukt Bharat”, blaming both national parties for the country’s problems, IANS reported. Students protesting at Rajiv Gandhi National University of Law in Patiala, Punjab, have boycotted the mid-semester examinations in protest against the suspension of six students on Friday. The exams began on Monday. A solider was killed and three people were injured after Pakistani forces allegedly violated the ceasefire along the Line of Control in Jammu and Kashmir’s Rajouri district on Monday. The incident occurred in Keri Battal in the Sunderbani sector around 5.30 am. A seven-year-old boy in Kerala’s Mallapuram district who had tested positive for the West Nile Virus died at Kozhikode Medical College and Hospital on Monday. The government has issued a high alert in the state’s north Malabar region. Union Finance Minister Arun Jaitley on Sunday criticised the Opposition alliance against the Bharatiya Janata Party for the Lok Sabha elections as a ‘mahamilawat gathbandhan’, or an adulterated alliance, and said such a tie-up would be “a road to disaster”. In the seventh part of his “Agenda 2019” series, Jaitley said the “mahamilawat gathbandhan” can only promise political instability. Bahujan Samaj Party chief Mayawati on Monday said the Congress was free to contest all the 80 Lok Sabha seats in Uttar Pradesh in the upcoming parliamentary elections on its own, a day after the Congress decided to not contest seven constituencies and leave them for the coalition of the Samajwadi Party, the Bahujan Samaj Party and the Rashtriya Lok Dal. The Indian Navy deployed aircraft carrier INS Vikramaditya, nuclear submarines and a number of other ships after tension escalated between India and Pakistan following the Pulwama terror attack on February 14. About 60 ships of the Indian Navy, 12 ships of the Indian Coast Guard and 60 aircraft were part of TROPEX ’19 – a mega exercise – but they were moved for operational deployment soon after the attack. The Raj Thackeray-led Maharashtra Navnirman Sena on Sunday decided not to contest the 2019 General Elections. The political party had won one seat in the 2014 Lok Sabha elections. Party leader Shirish Sawant made the announcement in a press release. Union Minister of State for Social Justice and Empowerment Ramdas Athawale said he will not distance the Republican Party of India from the National Democratic Alliance even though his outfit has been excluded from the alliance in Maharashtra. In an interview, he urged the Bharatiya Janata Party and Shiv Sena combine to not take the Dalit support for granted. The BSE Sensex rose 179.22 points to trade at 38,203.54, while the National Stock Exchange Nifty rose 51.20 points to trade at 11,478.05 at 10.37 am on Monday. The rise in the markets in the morning session was the result of sustained inflows of foreign funds and healthy buying in finance and banking stocks. However, the markets shed gains after the Sensex traded over 250 points higher in the early morning, while the Nifty crossed the 11,500-mark. A civic staffer died and four were injured after inhaling poisonous gases inside a manhole in Mumbai’s Grant Road early on Sunday. The deceased was identified as Brihanmumbai Municipal Corporation employee Rakesh Nizab, 45. The Gamdevi police have filed an accidental death report and are investigating the matter. 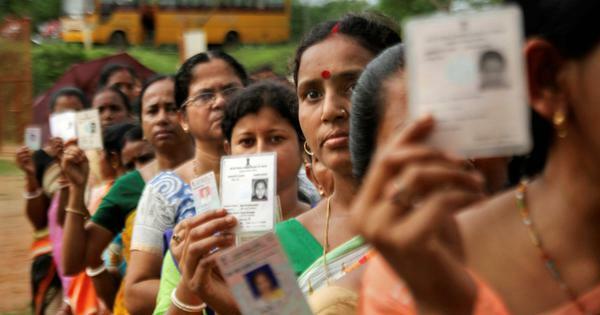 Bihar Additional Chief Electoral Officer Sanjay Kumar Singh on Saturday said the poll panel conveyed its decision to all government officials at a review meeting held to monitor election-related expenses during the upcoming Lok Sabha elections. 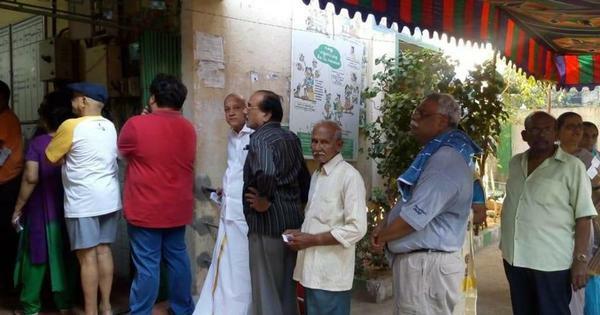 The multi-phase polls will be held from April 11 to May 19, and votes will be counted on May 23. Referring to the attack on Central Reserve Police Force personnel in Jammu and Kashmir’s Pulwama last month, in which 40 troopers were killed, Sitharaman said: “After that, when we struck Balakot, it was our fight against terrorism, but they are asking for proof?” She pointed out that the entire nationalism movement against the British started in the country from West Bengal. Union minister Nitin Gadkari had arrived in Panaji after midnight on Sunday to lead alliance talks. However, the discussions came to a halt after Maharashtrawadi Gomantak Party MLA Sudin Dhavalikar expressed interest in taking over the chief minister’s post.